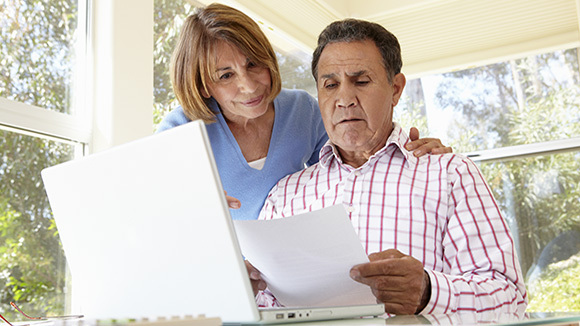 So, how can you help yourself find the best Medicare plan? Start by sidestepping these mistakes. You can get “Original Medicare,” which is offered by the government, and includes Part A (hospital insurance) and Part B (medical coverage including doctor visits). To that coverage you’ll need to add Part D (a Prescription Drug Plan), and a Medigap/Medicare Supplement Plan (optional coverage that helps pay for the 20 percent of covered expenses that Part B of Original Medicare doesn’t cover). You can get a Medicare Advantage Plan, offered by private insurance companies, which covers everything Medicare Part A & Part B covers, also generally includes prescription drugs, and also includes Medigap-like protection against catastrophic out-of-pocket expenses. Medicare.gov, the government’s helpful website, or the Centers for Medicaid and Medicare Services. State Health Insurance Assistance Programs (SHIP), a federally funded network of volunteers who are trained in Medicare to provide help. Medicare & You, the official U.S. government Medicare handbook. “It used to be that everyone did this at the same time. You retired at 65, and signed up for Social Security and Medicare,” says Moeller. But not anymore. “Many people don’t retire at 65, and many don’t need Medicare at 65 if they are still working.” In terms of when you can sign up for Medicare, there is now an initial enrollment period, which takes place during a seven-month window surrounding your 65th birthday. There are also other special enrollment periods during the year for circumstances such as losing your job. What you don’t want to do is go without coverage for any length of time. “If you sign up late, you can face lifetime penalties,” says Moeller. This is particularly true for Medicare Part B (medical coverage that includes doctor visits), Medicare Part D (prescription drug coverage), and Medigap/Medicare Supplement Insurance (optional coverage that helps pay for the 20 percent Original Medicare doesn’t cover). Failing to sign up for Part B means your premium will go up 10 percent for each 12-month period you could have been covered but weren’t enrolled. For Part D, you’ll be charged one percent of the “national base beneficiary premium” (amounting to $35.02 in 2018) for each month you didn’t have Part D coverage or creditable employer coverage. With Medigap/Medicare Supplement policies you won’t face late charges, but those policies have a limited open enrollment period—and missing it means you may get turned down later on. If you buy Medicare Supplement insurance within six months of initially signing up for Medicare, you are guaranteed enrollment in a policy, regardless of any existing health problems. After the initial enrollment period, you can be denied coverage if you don’t meet underwriting requirements. “If you already have Medicare you have this great opportunity for a do-over with open enrollment,” says Moeller. Open enrollment takes place October 15 – December 7 each year, and during that time you can reevaluate and switch from Original Medicare to a Medicare Advantage plan, or switch from one Medicare Advantage plan to another. “The Kaiser Family Foundation did a study on Medicare Advantage Plans and found that if people shopped more actively, they could save hundreds of dollars a year,” says Moeller. Open enrollment is also a good time to reevaluate your Part D, or Prescription Drug Plan. These plans change all the time, says Moeller. Some drugs that were once covered under your plan may stop being covered; other drugs may go up or down in price. Drug plans can change their relationships with pharmacy networks, as well. And then there’s the situation where you have a drug plan and start taking a new medication. “Chances are…you’re not going to do a lot of homework on how that drug is covered,” says Moeller. That means you may be paying more for that medication than necessary. The best thing to do during open enrollment, or beforehand, is to spend time with the plan finder tool on the Medicare.gov website, which allows you to compare drug plans and see which one is best for you. When choosing a Medicare plan, you need to think forward. “I try to remind people that you are getting health insurance for a you that doesn’t exist right now,” says Moeller. “You’re getting health insurance for a future you, for you down the road.” So when choosing a plan, try to envision what you’ll need health-wise as time goes on. Are you someone who is sick often, and takes a lot of medication, which will likely continue, or do you think you’ll remain healthy? For a lot of people, their choice is based on money. “Many people low-ball and pick policies that are very cheap, but then they have health issues later on and they’re not well-covered,” says Moeller. Just because you have Medicare, doesn’t mean all your health needs are covered. While many services are included (see a list here), most plans generally do not cover dental, vision, and hearing needs. Plans also notably don’t cover long-term care, including assisted living and nursing home care. If you receive insurance through your employer, often times you can get a plan that covers both you and your spouse. The same does not hold true for Medicare. You and your spouse each need your own Medicare plan. “People don’t want to deal with two insurers, and tend to default to get the same kind of coverage as their spouse,” says Moeller, “[but] as they get older, the odds grow that they don’t need the same healthcare coverage.” His advice: If you have substantially different healthcare needs, think about your own needs, too, and choose different plans that make sense for each of you.